Building a platform to collect relevant data for a charity community network in New Zealand – within one weekend! 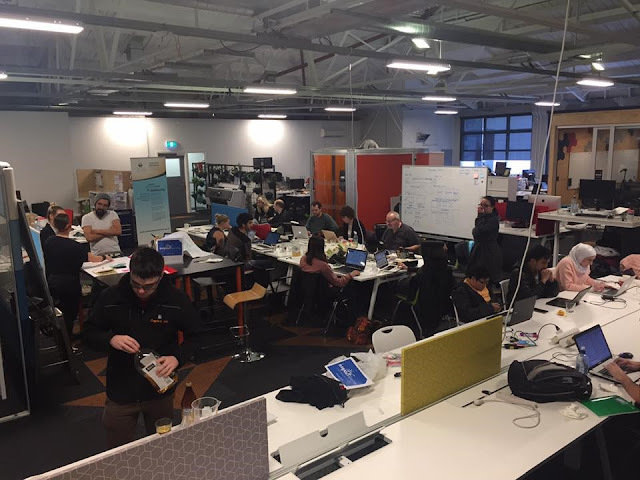 Recently, an Impact NPO Charity Hackathon weekend event was held in Wellington, NZ. 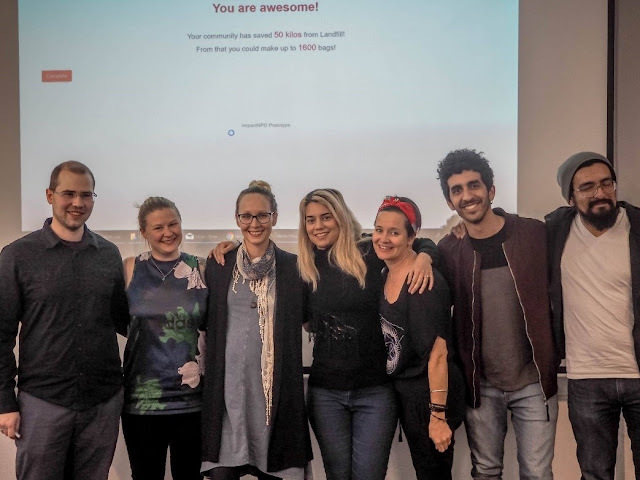 From Friday (Aug 11) to Sunday (Aug 13), IT professionals, designers and volunteers with a wide range of different skills came together to help local charities and NPOs to find solutions for their IT problems and challenges. 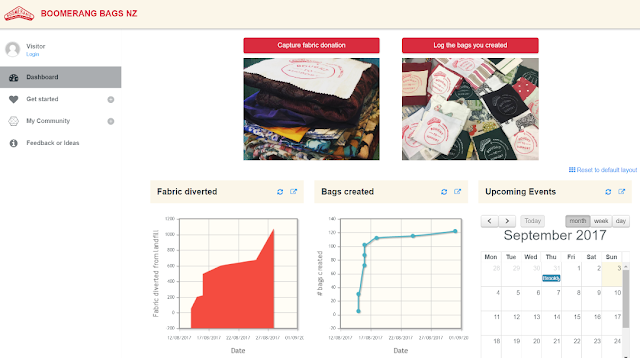 One of the four participating local charities was the NZ Branch of Boomerang Bags, a community driven initiative with the goal of reducing and eventually eliminating single-use plastic bags by diverting textiles and fabric from landfill and creating reusable bags hand-sewed by local communities. Boomerang Bags NZ operates New Zealand wide and currently has over 45 different communities throughout New Zealand . 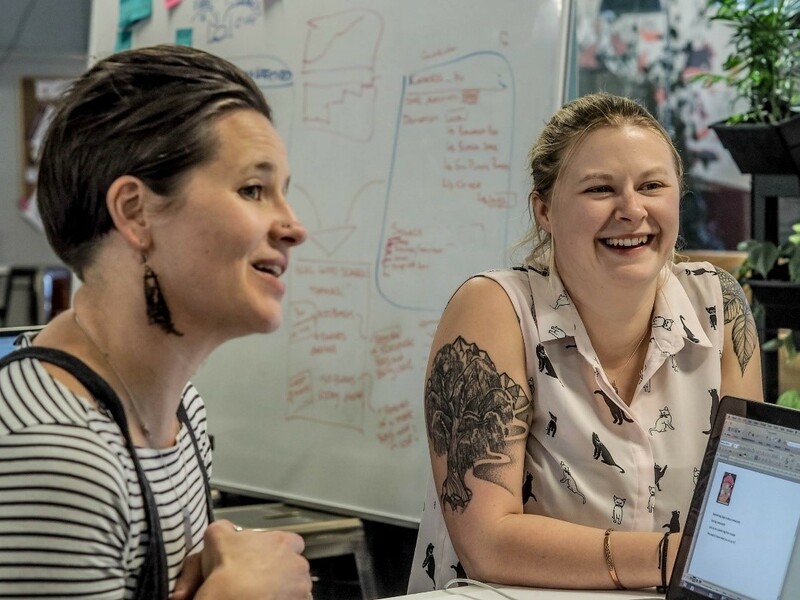 The NZ charity needed a quick, easy and scalable solution to allow communities to track their waste minimisation impact, and collate statistical data on the progress made towards offering real alternatives of single-use plastic bags that are responsible for a major part of plastic pollution into the ocean. The overall goal was to empower communities and make the impact that Boomerang Bags has more visible to affect wider change throughout New Zealand. The starting point for Saturday was to develop a strategy on how to build and successfully integrate a working solution within just a weekend from end-to-end. The team, comprising the two representatives from Boomerang Bags NZ Ali and Jemma, a couple of developers, UI designers, generalists and two communications and marketing specialists worked together to make this happen. The other group focused primarily on the establishment of a comprehensive marketing strategy and social media concept for Boomerang Bags to introduce the new data collection process to the communities. 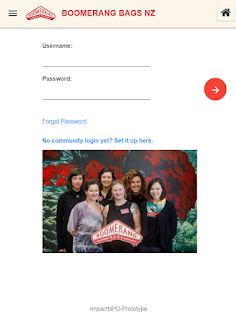 Additionally, a new landing page that serves, inter alia, as integration point for the communities to log in, was set up. Over the course of the weekend, some design specification were immediately adjusted or eliminated due to the highly iterative development that was possible on the Joget platform. Because all volunteers involved were able to look at the live prototype together, it was possible to ensure the language & interface was right, forms were easy for people to use and Boomerang Bags’ wider needs were met. develop a comprehensive marketing strategy design a new landing page – (on top of the goals for the weekend). Over the following days, the team continued to improve the user interface and functionality based on the prototype developed at impactNPO. Soon, they will go out to test the solution more widely with some of the Community Coordinators and add additional features such as automatic reminders to track communities’ achievement at or after a community event/sewing bee. The solution is already live for testing purposes since the end of the weekend. Using the Joget platform at impactNPO was one of the key enablers to build a future-prove platform that can continue to grow and offer support for Boomerang Bags NZ communities as the network is growing and reducing the use of plastic bags and unnecessary fabric landfill in New Zealand. For any enquiries about Boomerang Bags NZ, please contact jemma@boomerangbagsnz.org. If you would like to use Joget Workflow for a project in your community, please drop us an email. Cheers!